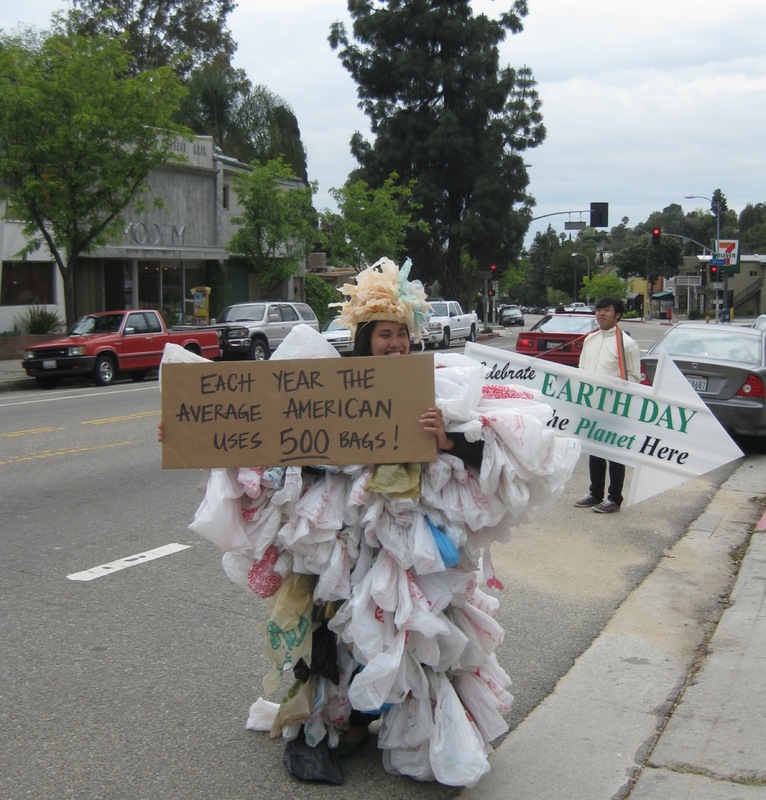 Sustainable Silverlake hosted a lovely celebration in the parking lot of indie-music mecca, Spaceland. At the entrance, we could sign in and read a list of suggested promises to choose from. They even had an “advanced” page for those of us who are already doing a lot. Dublab made a webcast of our promises which you can listen to here. Broadcasting our promises to the planet was a really great way to celebrate Earth Day, and I think it makes sense to conceptualize this day as a day of reflection, thinking about what I’m doing to make the world a better place,and what I could be doing better. 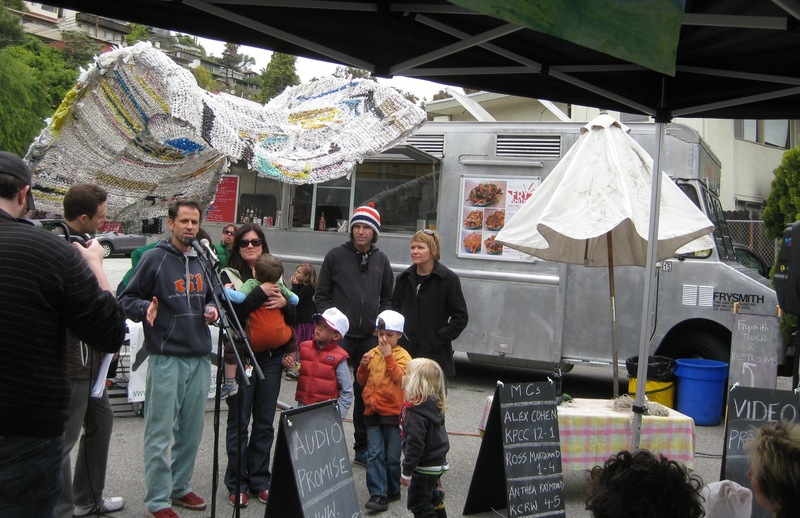 Having this simple neighborhood event brought home the importance of staying local in LA. Although my current home is downtown, I lived in Silver Lake for years and still consider it home. We hear so much about how sustainable Santa Monica is, it’s time we represent for the east side! My promise was to get as many clients as possible for my new consultancy, Sustainable Fashion LA. I prefaced that with a mention of how it’s more sustainable to change the way we make things than to try and change people’s behavior on a big enough scale to make a difference. We all do what we can, but if Wal-Mart tells their suppliers to only use recycled plastics, the price of virgin plastic would plummet, thus reducing the demand for at least one petroleum product. It was freezing and threatening to rain, so the turnout was not as much as it would’ve been if we’d had proper LA weather. Angelenos are more sensitive to cold than say, New Yorkers, so anything below 60 and we’re in hibernation mode! But there were enough people, especially cute kids and stay at home dads, to make it a party. The lovely awning you see in this picture is woven from used plastic bags. There was tasty food from The Frysmith (which runs on their own used oil! 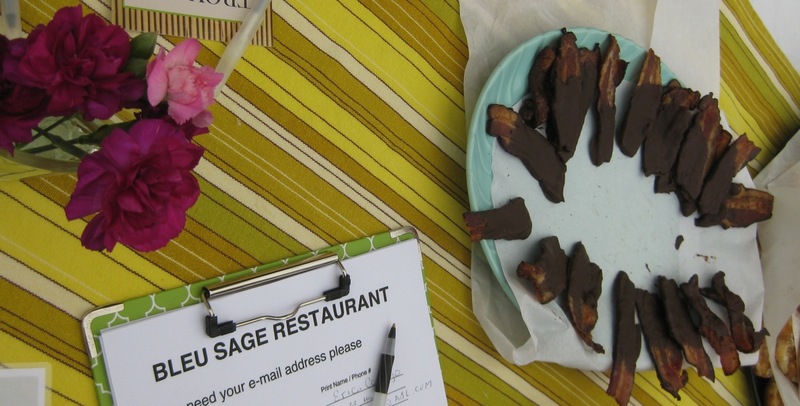 ), Bora Bora, and Bleu Sage Restaurant, which brought chocolate-dipped bacon! OK, so maybe it’s ethically sourced, and hey, at least it’s not beef, right? But as reported on EatDrinkBetter, one of the best things we can do for the planet is to eat less meat. I’m not one to push vegetarianism, as I do enjoy some animal products in my diet. But I steer more toward herbivore than carnivore.